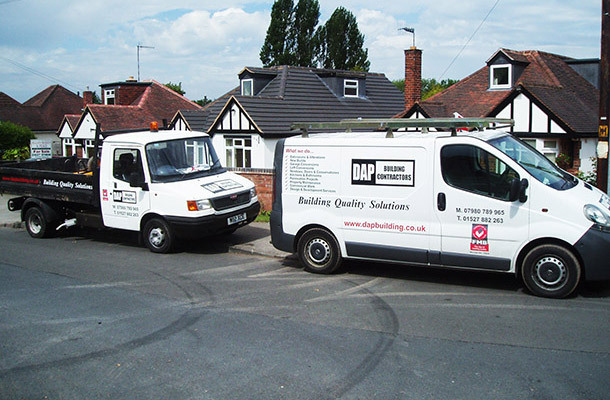 DAP Building Contractors cover all aspects of the building process from small alterations, maintenance work and large development projects. Proprietor Dave Powell who runs the business has had a background in the engineering and construction industry for the past 20 years, established from first hand experience. We are committed to providing the highest quality workmanship and maintaining our professionalism throughout all of our projects. Our speciality lies in domestic extensions and alterations were we offer a fully managed project service. From the initial meeting with new clients were we can give advice and guidance about their proposed ideas to then providing architectural drawings, assistance or fully managed planning processes. Our team of time served professional tradesmen then put your ideas into reality by building you exactly what you want to your highest expectations. All of our electricians are NIC/EIC approved and our plumbing and heating engineers are GAS SAFE registered.